The Penguin Course does a really good job in laying a solid grammatical foundation. By the end of it you will confident enough to have non-trivial conversations with Russian speakers. However, you will also realise that you have only scratched the surface, and that there is still a huge amount left to learn. In order to progress past this point, you need a broader resource. The Russian grammar bible. Period. No serious student of Russian should be without a copy of this authoritative grammar reference book. Covers virtually every topic you can think of, using fresh, interesting vocabulary to illustrate key points. Its structure layout allows students to master Russian grammar systematically. If the Penguin Course was the tip of the grammar iceberg, this is the massive bulk floating under the water. It is difficult to convey how useful this book is for any student of Russian who wants to make real progress beyond the beginner’s level. This 630-page reference work is encyclopaedic in its breadth and depth: its topics include pronunciation, punctuation, noun formation, verbs of motion, particles, diminutives, participles, gerunds, prepositions, word order, etc. Basically all of the rules – important and obscure – that you need to develop a robust grasp on how the language really works. The example sentences are all taken from real literary and non-literary Russian sources, and are a breath of fresh air from the typically boring constructions that language books normally rely on. If you’re not in a position to buy Wade’s Grammar at the present moment, a respectable alternative is the free online grammar created by Duke University’s Edna Andrews. Similar in content to Wade’s grammar (though not nearly as comprehensive or useable), this guide would be a great thing to bookmark and refer to for relatively straightforward queries. The navigation sidebar makes finding what you need a breeze. Divided into 18 thematic topics, this book provides the reader with over 5,000 Russian words and their translations. Each topic is broken down into three levels, starting with the most basic words and building up to some quite advanced (and obscure) vocabulary. Engaging self-study tasks at the end of each section and etymological insights make this an enjoyable and productive learning resource. For those of you who have studied other languages, you may be familiar with Cambridge University Press’s excellent ‘Using X Vocabulary’ series. If not, you will have to take our word that this is an invaluable textbook, that will raise all aspects of Russian proficiency. Learning vocabulary can sometimes feel like a slightly random and chaotic experience – we get to grips with some areas quickly, only to discover (at just the wrong time!) that we have embarrassingly large gaps in our knowledge. This is the solution. The book is divided into eighteen section (the natural world, industry, leisure & tourism, the physical body, etc. ), and each section is divided into three subsections. The first subsection contains basic vocabulary, whereas the last one will prepare you to authoritatively discuss the topic in question. This means that you can pick or choose sections depending on your strengths and interests, or, alternatively, work your way through it systematically. Combined with Anki, it is the single best way to accumulate a large enough word base to sit the B1-C1 exams. At this point you will feel ready to take off the training wheels and start reading some Russian literature in the original. But there’s one thing you should know: not all classic writers are created equally when it comes to the difficulty of the works. For example, the intermediate student who begins with one of Gogol’s short stories or Platonov’s novels will have a hard time getting through it. The style and structure that these authors employ, make their books devilishly difficult to read. Collected short stories from one of the masters of Russian literature. Tales in the volume include: ‘The lady with the Dog’, ‘The Princess’, ‘The Post’, and ‘Verochka’. Collected short stories from one of the masters of Russian literature. Tales in the volume include: ‘The lady with the Dog’, ‘The Princess’, ‘The Post’, and ‘Verochka’. .
Fortunately, there is a good place starting point: we recommend Chekhov. 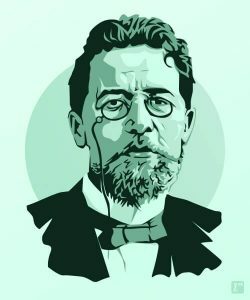 The way that Chekhov writes means that he is ideal for the intermediate student: his style is solid and sensible, the realism of his stories prevent confusion, and his choice of words – although firmly rooted in the 19thcentury Russian tradition – are never flowery or redundant. What’s more, his best writing was done in the form of short stories. Even at this point you will rely heavily of a dictionary, and this means it will take you much longer to read one page of Russian than it would something written in your native language. Reading a 10-page short story is an achievable task; being a hero and slogging through the Brothers Karamazov will not be much fun – yet! Serious book covering the entire span of Russian and Soviet history, broken down into 36 concise chapters. Specifically designed for ambitious Russian students that want to gain greater historical awareness and improve their academic vocabulary. Online exercises and mini-lectures included. If you want a more structured approach to getting your reading up, then Advanced Russian through History is a good option. As you work through the 36 chronological chapters, taking you from Kievan Rus’ up to the Post-Soviet Era, you will notice that the difficulty of the text gradually becomes more challenging. However, this progression is so incremental that you never feel too far out of your comfort zone. Vocabulary keys, high-quality learning tasks, and mini-lectures (found on the publisher’s website) make this a worthwhile book to buy. Plus, it’s a fun way to learn more about Russian history! It would also be a good idea to start reading the news in Russian. That way you will have a constant stream of new material covering a diverse range of topics. All of the major Russian newspapers – Vedomosti, Kommersant, Novaya Gazeta – are worth reading, but our favourite website is the BBC’s Russian service. It follows the rest of the BBC’s policy of using simple, clear diction and produces good, impartial articles on all major stories concerning Russia and the former Soviet Union. In addition, the majority of the videos that you will find in the multimedia section now come with Russian subtitles – something that you will struggle to find elsewhere. Wade’s Grammar is such an intimidating brick of a book that it can be difficult to know where to begin with it. Because you now have so much information at your disposal you need an effective way to get it in your brain and keep it there. Excellent workbook to accompany Wade’s grammar textbook. Crammed full of exercises to drill you on virtually everything you need to get your writing and speaking up to an advanced level. Fortunately, there is also a grammar workbook that can be used independently or in conjunction with the textbook. Both books share the same layout and subsection breakdown, so you can synchronise your grammar with written practice. It features over 230 sets of exercises that involve all sorts of exercises: translation practice, sentence formation, etc. Although it is only 270 pages, and some reviewers think it is a little on the pricey side for the number of exercises, it is worth pointing out that each of these ‘questions’ has multiple component parts. This means that, given its size, you are getting a lot more value for money than this may suggest. Ideal for high school or university students, this book is designed to help readers improve their essay writing skills in Russian. Contains grammar reference, key thematic vocabulary, and practical writing advice, as well as plenty of written exercises. Themes include climate, economics, politics, and organised crime. All language learners have been set those uninspiring writing tasks from time to time: “write me an essay about what you got up to at the weekend”, “what is your favourite holiday destination”, etc. What is so irritating about these topics is that, although the content is so simple a child could talk about them confidently, it can be surprisingly tricky to structure them properly. Essay writing is a skill, and this well-written book will teach you how to excel at it. Each thematic chapter starts with a grammatical guide, giving useful information on important aspects like conjunctions and word order, before presenting the reader with a series of exercises and essay questions. Each essay exercise comes with a template answer to help you develop the right instincts when faced with the real deal in an exam or professional situation. Ideal guide for those that want to use their Russian for business purposes. Follows BCP’s general format of grammar, vocabulary, and written exercises. In particular, it is a nice way to learn those set phrases and pleasantries that pervade every office environment. Topics includes privatisation, entrepreneurship, advertising, and the banking system. Also in BCP’s textbook series is Russian for Business Studies. Like the Guide to Essay Writing, this book focuses on the specific grammar and vocabulary that will come in useful in a business context, before cementing this knowledge with a range of written exercises. It was written in 2000 and doesn’t appear to have been updated since, leaving it vulnerable to the charge of being obsolete. However, having worked through it, we can confirm that a surprisingly large proportion of the words are still used today, meaning that it’s still worth buying this book. Of course, you won’t find up-to-date IT and technological terminology, so you will have to look elsewhere for this. But if you are just interested in a general office-focused business textbook, this will do the job. In the long run, the only way to improve your Russian speaking is to speak Russian. A lot. For a long time. If you’re at university and are majoring in Russian, your course should involve a year abroad in a Russian-speaking country. This is obviously in an incredible opportunity that will give you give you the complete immersion that you need to push yourself out of your Anglophonic comfort zone. If, however, you are studying independently, it might be difficult to replicate this experience. You probably won’t be able to take months off from work to study in Russia. There, of course, are a lot of private language schools in all major cities of the former Soviet Union that offer short-term language lesson packages – Liden & Denz, Russianlab, and Language Link are three of the most popular. But the high prices that these centres charge might well mean that they are outside your budget. Taking into account flights and living expenses in pricy cities like Moscow and St. Petersburg, you could easily burn through a few thousand dollars for a couple of weeks’ worth of tuition. But don’t despair! There is a language school that offers excellent Russian lessons and a welcoming homestay experience with a local family, all for a very affordable price: The London School of Languages and Culture in Bishkek. Bishkek is the capital of Kyrgyzstan, a Central Asian country that was formerly part of the Soviet Union and the Russian Empire before it. As such, everyone in the country speaks Russian as a first or second language. This, couple with the fact that the cost of living is more than ten times cheaper than in Russia, makes it the perfect location to learn Russian for those on a budget. The London School was founded in 1998, and since then has earned a reputation amongst Russian students as an honest and professional institution. 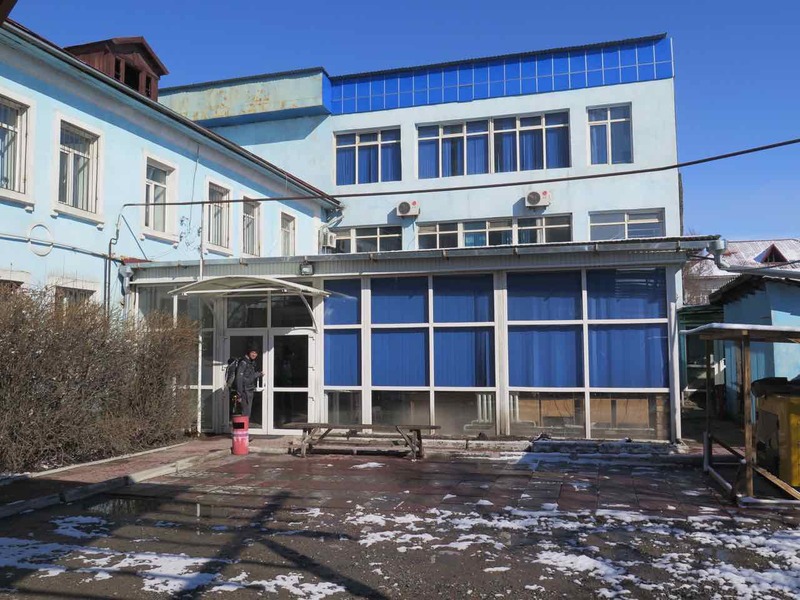 All of the admin involved in organising your stay in Kyrgyzstan (visa, airport pickup, accommodation and meal arrangements) is handled by the school’s competent English-speaking team. The most important thing to note are the incredible prices: an hour’s worth of one-to-one private tuition with a qualified native speaker will only set you back $5-8 – there is quite simply nowhere else in the world that offers such value for money! The lessons are top-notch as well. The school uses its own online teaching system via classroom whiteboard projector screens, meaning that all of your modular lessons will follow the official structure of the course. All of the teachers that taught us were friendly, knowledgeable, and highly professional. If you take on the intensive course (20 hours per week), each school day will have a few hours of grammar in the morning followed by conversation and literature practice after lunch. You will also be expected to complete homework for each class. So you can expect to be very busy throughout your time in Kyrgyzstan! Lessons finish at around 3 o’clock, giving you plenty of time to socialise and explore the city. Bishkek is a pleasant city to live in: it has plenty of bars, restaurants, musical and theatrical performances to keep you entertained. 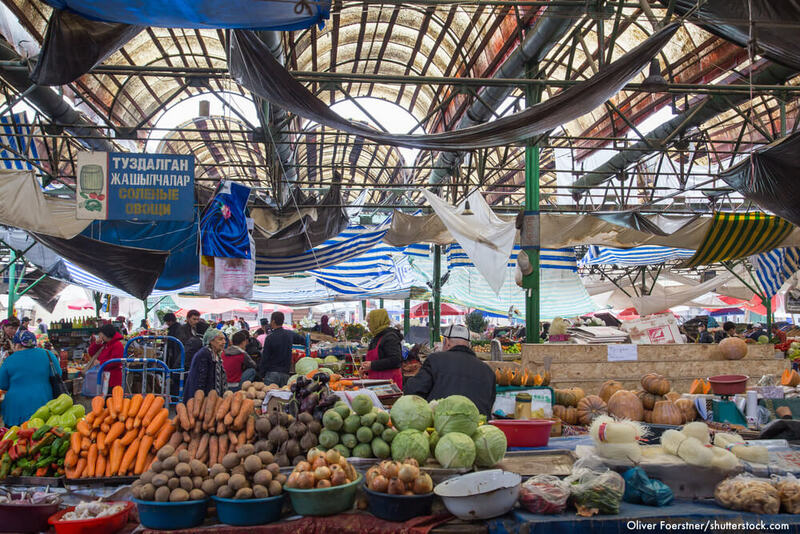 What is more, levels of English competency are generally very low in Kyrgyzstan, so you won’t have much trouble striking up a conversation with locals in Russian, only for them to switch to fluent English within a few seconds (as often happens in Moscow and St. Petersburg). With regards to living arrangements, you have two basic options: either live in the student dormitories that are located in the upper floors of the school itself, or live with a local family as a homestay arrangement (vetted and organised by the London School). If you do the former you will spend a lot of your free time socialising with other English-speaking students, which is why we recommend that go for the homestay option. We guarantee you that you will learn just as much Russian by simply taking part in daily life with your host family as you do from the formal lessons. Kyrgyz culture highly values hospitality, so you can be sure of a warm welcome and involvement in all of the family’s social life. The school doesn’t offer any tuition over the weekend, but they do offer lots of extracurricular activities, including: horseback riding, bazaar visits, and mountain treks. 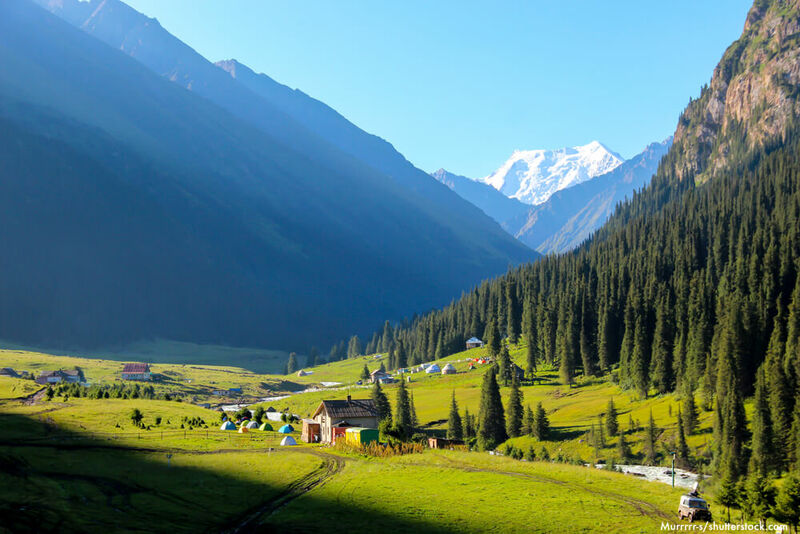 Of course, you can also organise excursions yourself – Kyrgyzstan is a beautiful mountainous country with loads to see and do. We strongly recommend that you take the time to see Ala Archa National Park, Issuk-Kul Salt Lake, Osh, Karakol, and Arslanbob. No matter how long you are able to study at the London School you will come back feeling that your Russian has improved immeasurably. But if you’re really not in a position to spend some time in a Russian-speaking country, the next best thing would be to find a language exchange partner in your home country. Although America, Canada, and the UK are some of the most diverse countries in the world, which should make learning foreign languages a breeze, there’s a major problem for us: most foreign residents speak excellent English. They have to! After all, we are extremely demanding when it comes to English proficiency and it is virtually impossible to get a decent job in these countries without fluent English. This means that 99% of the Russian speakers you will come across in your city will speak much better English than you speak Russian. It’s very difficult to get someone to suffer your broken Russian when they know they could accelerate the conversation by switching to English. Frustrating, but true! One way you can get around this is by making a semi-formal agreement with your interlocutor that you will speak English for half of the time, and Russian for the other half – that way you both get something out of it. You can find people searching for this kind of arrangement on websites like My Language Exchange. The success of the language exchange will vastly depend on how well your personality and linguistic requirements mesh with your partner’s. It’s really a case of trial and error. But if you find the right person you can rack up hours and hours of conversation practice without having to pay anything. If, though, you live in small town and you can’t find any suitable prospective language partners, we recommend that you skip ahead and take a look at our speaking suggestions for advanced learners. Respectable online language courses like RussianPod101, should still challenge you as you move up to intermediate level Russian. But now you should begin to spread your wings and start listening to real Russian conversations (i.e. not the watered-down Russian that teachers use). Film studio behind classic Soviet films like The Irony of Fate, Moscow Does Not Believe In Tears, and Gentlemen of Fortune. Vast catalogue available to watch for free on Youtube and official website. Russian and English subtitles. 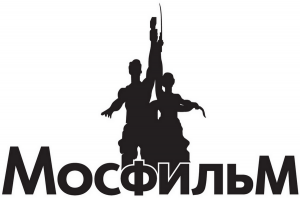 A few years ago Mosfilm – one of the oldest and most famous Russian film production companies – released a free catalogue of a huge number of their greatest films on YouTube and their official website. These are fantastic ways for improving your listening comprehension, not only because the vast majority of them come with both English and Russian subtitles, but also because these classic Soviet films have made a huge impact on Russian culture. You’ll find that Russians are always making reference to quotes and characters from these films, so you need to understand what they’re talking about. As such, you’ll never be able to claim that you are truly fluent until you can appreciate these cultural nuances, as well as master the linguistic side of the language! Some films that are available on the official website are not available on the Youtube channel. The usefulness of slow news is a controversial topic. Some people claim that it’s a good way of preparing yourself to listen to real Russian news programmes (in which the presenters speak at an ungodly pace). Others say that it’s better just to jump in at the deep end and get used to how people really speak. We reckon that the latter position is probably closer to the truth. But if you think listening to slowed-down news would help you at this point then we recommend working through the audio clips found on this website. Try to listen to the clip a few times without looking at the accompanying transcription to see if you can understand the general gist. Once you can understand the main points of the news briefing, it’s time to move on to the real thing. Another good resource is LibriVox. Here you can download a number of audiobooks of classic novels from Russian literature. The narration tends to be at a reasonable pace, but even if you don’t understand everything at this point, just following along with the text in front of you will help your mind associate written words with their sounds. This will improve your listening comprehension in the long run. Teaches you the swear words that Russians really use. Takes pains to lay out the grammar and context behind each word so you can use it correctly. Lots of examples given. Teaches you the swear words that Russians really use. Takes pains to lay out the grammar and context behind each word so you can use it correctly. Lots of examples given.. If you want to learn how to swear in Russian, then you need this book. As the author rightly points out, the vast majority of swear words and colloquial words that you find in dictionaries are not actually used today and will sound bizarre if you – in your foreign accent, no less – go about using them. Instead, the best thing is to learn those evergreen swear words that people actually use in real life and don’t make you sound stupid. The book tells you which words to use and exactly how Russians use (with the correct grammar). Even if you have no interest in using the words, it’s still a useful book to read through as you can be sure that you need to understand when people are swearing and what they are saying! Russian swear words are generally considered more offensive than their English counterparts, so use them with caution.